00:47 — Jean takes one for the country! 01:43 — Doctor Who: New animated series, featuring David Tennant. 02:50 — Primeval: Axed, to death! 05:03 — Torchwood: New Radio 4 play dates announced. 06:27 — Futurama: new 26 episode series. 07:07 — New ‘Bladerunner like’ web series, Purefold, from Ridley Scott. 08:51 — Liam Neeson for the A-Team? 10:07 — Total Recall remake writer announced. 11:52 — Michael Shanks to guest star in Sanctuary. 12:50 — David Carradine found dead in the closet. 14:22 — Dalek for sale. 15:22 — Doctor Who funeral for fan. 16:10 – Doctor Who: The Invasion. 40:15 – Escape Pod Discs: Real Keith. 44:09 – Ashes to Ashes. 67:51 — The Tin Dog Podcast. 68:26 — The Flashing Blade Podcast. 70:59 – Farewell for this podcast! 71:18 — End theme, disclaimer, copyright, etc. Wikipedia: The Hobbit Film Duology. West Sussex Gazette: Doctor Who Dalek lands in Crawley. The Daily Mail: Dr Who lookalike has time-travelling funeral in Tardis-style coffin. 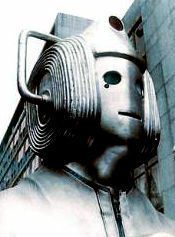 BBC: Doctor Who: The Invasion. To minimal surprise, ITV has cancelled its early Saturday evening family action/adventure drama series Primeval. If you will indulge me, I’d like to just say a few things about this sad outcome. Let’s not pretend otherwise, Primeval was ITV’s attempt to rival the BBC’s unexpectedly popular revival of Doctor Who (no doubt there are some that will now say they always expected New Who to be as massively popular as it now is but I certainly wasn’t amongst them and nor were the BBC suits in London (but let’s not get into that right now!)) As a series, Primeval never quite hit the heights of Doctor Who, not in terms of viewing figures, audience appreciation figures or the general saturation into popular culture. Of course Doctor Who had something of a head start, what with a dormant affection, in many of the older generations, for the original series and a rich history to plunder from. Primeval had to start from cold. Children like dinosaurs! They also like Doctor Who and that’s got time travel. So, thought ITV, lets make a rival to Doctor Who with people who time travel to prehistoric Earth! Even better, extreme wildlife programmes, such as the BBC “Walking with…” series, are popular – lets make those time travellers modern day zoologists and animal conservationists! No, this isn’t Primeval I’m talking about but its immediate predecessor, Prehistoric Park. Borrowing heavily from the Jurassic Park idea of conserving otherwise extinct animals (mainly ‘dinosaurs’ to my untrained eyes) in a vast animal preserve. Real life naturalist and wildlife presenter, Nigel Marven, played himself as the head of the Prehistoric Park team and the whole thing was played as a ‘docu-fiction’. They even had David Jason narrating it. It was entertaining enough but, as it was supposed to come across as a documentary, they were limited in the dramatic licence they could take (even though they were jumping back through man made time portals and coaxing extinct wild animals back through them). Clearly ITV decided they needed more drama, more adventure. The production company behind Prehistoric Park were contracted to take their CGI dinosaur expertise and make a true rival for Doctor Who. Prehistoric Park, with its time portals and dinosaurs coming through to modern day, was gone, instead we had Primeval, with its temporal anomalies and, er, dinosaurs coming through to modern day… On paper they sound quite similar and it is clear to see how they took the Prehistoric Park premise and retooled it for an action/adventure family drama. The park was gone and the man made time portals are replaced by (apparently) natural temporal anomalies. Nigel Marven’s leading role is replace by an evolutionary biologist character named Professor Nick Cutter (played by Douglas Henshall). I won’t go into massive detail but the basic plot is that each week a temporal anomaly will appear in modern day England linking back to, usually, a prehistoric period. One or more ‘monsters’ will emerge and wreak havoc and Cutter and his team will be called in to clean the mess up (usually getting the animals back through the anomaly). It was very much ‘monster of the week’ fare. As the series went on we would begin to see future creatures come through (a chance for the CGI team to come up with something not based on fossil records) and a political intrigue storyline was layered underneath the familiar monster attack theme. The format was beginning to feel a little tired, even with a rival ‘evil’ team and Professor Cutter’s ‘evil’ wife on the rampage. The producers slavishly stood by the monster of the week format, though augmenting it with these extra elements. Now I can’t claim to have seen every single episode but I have seen the majority of them. I have to wonder, though, if I was getting a little fed up with the formulaic nature of it, what were people who had seen every single episode thinking? Presumably those people would be its biggest fans and probably rather liked it how it was. The more casual viewer might not have minded either – after all they knew they could miss an episode or two but still tune in and know what to expect (the plot ‘arc’ wasn’t deep or all that necessary to follow (and, yes, the naming of the Anomaly Research Centre (ARC) cannot have been a coincidence!)) Millions of people tuned in every week and there are a lot of very vocal fans, so perhaps they weren’t wrong in their approach. I can’t say the series really grabbed me but maybe that is just me. Beyond the merits or otherwise of Primeval, what does its cancellation mean for genre TV? Clearly it isn’t good. 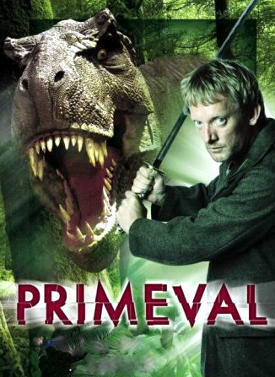 Primeval was pulling in respectable numbers, not quite up there with Doctor Who but that isn’t a fair comparison. With a retooled format (and perhaps slightly more engaging characters – or is that just me, too?) it may have gotten Who levels of viewers and audience appreciation. I do rather doubt it, though – at least for the viewing figures side. ITV has been in a massive decline for some years, as has TV viewing in general. ITV consistently trails the BBC nowadays but it is not without its successes. I am, of course, talking about the likes of Britain’s Got Talent and other talent, reality and game shows. Popular and very cheap to produce. You can just imagine the ITV bean counters saying to one another – we can spend more on a drama series or spend less on a talent show and get higher ratings, let’s fill our schedules with talent shows! Thank goodness for the BBC, whose charter prevents such short sighted thinking. Talent shows and reality TV might be cheap and popular but where are the merchandise opportunities? People don’t (as far as I know!) buy DVDs of ‘Britain’s Got Talent’ or ‘I’m a Celebrity… Get me Out of Here’. Action figures? Books? Computer games (actually quite possibly for talent shows!) Film rights (such as the proposed Hollywood adaptation of Primeval?) Look at the massive Doctor Who merchandise industry and imagine all that licensing money that must be coming into the BBC. Then add in overseas TV rights. According to Wikipedia (the font of all knowledge!) new Doctor Who has been sold to at least 42 countries. I cannot find such information for Primeval but I don’t doubt for a second that it has much higher international interest than, say, Britain’s Got Talent. Even the repeat (or ‘rerun’) value of a good drama like Primeval has got to be vastly superior to a talent show where the audience voted for contestants (but, clearly, cannot on a repeat). It does feel like a false economy to axe Primeval if they were looking beyond the very short term. I think we can be certain that Primeval’s intended stablemate, Demons, won’t be returning either. That really won’t surprise anybody, especially after Philip Glenister very publicly stated he wouldn’t return for a second season. How much did the failure of Demons affect the cancellation of Primeval? We can never be sure but if we look at Primeval sitting out there on its own in the ITV schedules and then turn the channel to BBC 1 and see what they are doing… Very quickly after the success of Doctor Who, the BBC announced they were going to create a new Robin Hood series, to take the same slot as Doctor Who but in the Autumn (as opposed to New Who’s Spring slot). Now BBC 1 also has Merlin in the same early Saturday evening family drama slot that Doctor Who created. When Doctor Who returns in 2010 the BBC will have such family, pre-watershed, drama on throughout the year (the quiet summer months aside and assuming both Robin Hood and Merlin continue). That’s a pretty solid line up that will keep people coming back week after week. ITV just didn’t have that. They tried but Demons destroyed that hope for them. Without the money to create a replacement for Demons there wasn’t really a sustainable place for Primeval, it just wasn’t making a big enough mark on its own. Whatever the cause of Primeval’s extinction (and the wider extermination of drama on ITV) it is a very sorry tale. Doctor Who has some indirect competition from Robin Hood and Merlin but is that enough? I think it is vitally important that ITV gives BBC 1 competition as well. Clearly that is not going to happen from now on, for a good few years, at least. Thank goodness for Doctor Who – if that hadn’t have come back in 2005 we would almost certainly be completely bereft of quality family drama now – as we were for so many years before. At least there is something out there to fire children’s imagination but our hopes for a multi-channel family drama renaissance have been destroyed. As I write this the final episode of Ashes to Ashes season 2 will air tomorrow evening. Like Alex Drake, time is running out for me – I must speculate now or it will forever be lost to the past. Since recording the last podcast (on Monday the 1st of June, overlapping with Ashes to Ashes 2.7) I have now had a chance to see the penultimate episode of season 2. Or series 2, if you prefer, but that is even more confusing in the context of Life on Mars/Ashes to Ashes – during the podcast the phrase ‘the first series’ was used. Did we mean Life on Mars in general or just Ashes to Ashes season one?! We meant the latter in that case. But I’m drifting! I was clearly very wrong on my assumption that the mysterious ‘young’ Martin Summers was actually the ‘time travelling’ middle aged Martin Summers who had, somehow, assumed a different appearance. Keith was very correct – there were two Martin Summers, the 2008 version and the ‘native’ 1982 version. Does that mean he cannot change his appearance? Probably. Does this put paid to my theory that Martin Summers is, in reality, Sam Tyler in disguise? Most probably but not certainly. Is Fake Keith’s £5 bet with me, that it is Gene Hunt in the hospital bed AND that Martin Summers is Sam Tyler, in danger? I think so! Ever since the final episode of Ashes to Ashes season one, there has been a new wrinkle of doubt about the 1980s reality. Did Gene Hunt save the young Alex Price (or Drake, as we now know her) in the real 1981? Alex’s flash backs to the event, before she relived it in her coma, suggests he did. How is that possible? Is/was there a real Gene Hunt? 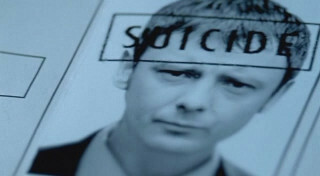 Perhaps the 2008 Gene Hunt (who, assuming he’s 46 in 1982 (Glenister’s current age) would be about 72 in 2008) is in a coma along with Alex and Sam Tyler before her? Maybe but I don’t quite buy it. As for him being the man in the 2008 hospital bed that we saw in the first scene of Ashes to Ashes 2.1, no, I think the hints that he is Martin Summers are too strong for that. That would also displace Summers and, rather late in the game, raise the question as to what/where is he in reality. As for Martin Summers – “The first man ever to live through a successful suicide attempt!” What does his killing of his younger self tell us? That just leads me back to thinking this 1982 world is a fiction, as we all (Alex included) originally thought. But if none of this is real, why is Summers going to so much trouble to put ‘Operation Rose’ into operation? Personally, I think it is a fiction. Somehow a shared fiction, a shared unconscious. But there are rules to it, nonetheless. A powerplay to break the reality? Summers claims to be able to leave 1982 anytime he wishes. Is he just staying for entertainment then? What’s the point? The only ‘real’ thing he can influence is Alex’s mind but when she wakes up I can’t see how any hold on her would persist into the real world. My speculation runs dry here. I can’t see Martin Summer’s motivation or goal. Operation Rose? Clearly he needs a lot of firepower and he couldn’t wield all that on his own. Looks like he’s planning a little war. Revenge against someone in power? A fantasy revenge he can play out but, at the end of the day, it doesn’t mean anything in reality. So, Sam Tyler. Is he dead? I was absolutely convinced he was in that final episode of Life on Mars. I always read that as him committing suicide. I know others didn’t see it that way at the time but the writers confirmed that and the files Alex Drake had on him quite clearly say ‘Suicide’. So why the sudden doubt? For one thing, the rumours that a Life on Mars star (that isn’t already part of Ashes to Ashes!) will be turning up in Ashes to Ashes season two. The general assumption is that it would be Annie (who Sam Tyler apparently married in the 1970s years that were, in reality, his last seconds of life in 2006). But what would be the point of Annie turning up if that isn’t a pretext for Sam Tyler to return? Perhaps the whole ‘returning character’ thing was nothing but misdirection, there to make us think that Martin Summers is Sam Tyler? Possibly. We’ll find out tomorrow evening, I suppose. Still, I quite like the idea of Alex and Sam meeting up. Are those reports of a third and final Ashes to Ashes season true (that will wrap up BOTH Life on Mars and Ashes to Ashes)? What of that old fashioned iPod, that we so closely associate with Sam Tyler, that appears alongside Martin Summers’ 2008 hospital bed? More misdirection? So small that only the real fan will see it – just the sort of people they would try to misdirect. I do think Sam Tyler is dead but I can’t help but like the idea that the fifth and final season of the Life on Mars/Ashes to Ashes saga might end with both Sam and Alex working together. It probably wouldn’t work, though – I’m not sure even Gene Hunt could cope with both of them! Also, has anyone else noticed that the amount of the 1980s compared to real time has dropped dramatically recently? Since being shot and found, Alex has spent about 6 months in 1981/2. Suddenly she is found and the time between the ambulance arriving and them finishing the (presumably) several hour long surgery was only a matter of weeks (at most) in 1982. Let’s assume she was found within the ‘golden hour’, that was 6 months in the 1980s, for an hour in 2008. Then, for presumably several hours in 2008, she only lives through a few weeks in 1982. Most of that was before they took the bullet out, too, in case we think that is the cause. Adrenaline dropping? Does Martin Summers experience 1982 time at the same speed as Alex now does? I doubt they’ll ever talk about that in the series! So, pretty light speculation in the end. I have more questions than theories. Let’s see what answers the final episode of Ashes to Ashes season two brings tomorrow! 06:10 — The Sarah Jane Adventures: David Tennant to appear as the 10th Doctor. 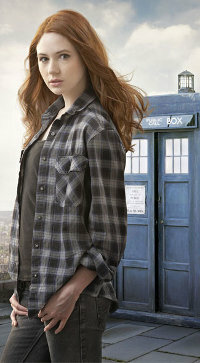 07:20 — Doctor Who: New big screen film talk. 08:22 — Doctor Who: BBC America to screen the 2009 Specials. 09:05 — Dollhouse: Summer Glau to move into the house? 10:05 — Alien: prequel/reboot in the works. 11:36 — Buffy the Vampire Slayer: New film is planned, Whedon not involved. 13:18 — Flight of the Navigator: another one for the remake bandwagon. 13:59 — UFO: 1970s British TV series destined for a film version. 15:05 — Hasslefree Miniatures: releasing metal miniatures ‘not’ based on Doctor Who and Firefly. 16:36 — Telltale Games wants to licence Doctor Who for a computer game? 17:34 — Toby Hadoke on tour with his Moths Ate My Doctor Who Scarf. 19:03 – Doctor Who: The Deadly Assassin. 37:13 – An epic new Film Trailer! 37:59 – Doctor Who in Unusual Places: A Madness of Angels. 39:50 – Choose Your Own Staggering Story! 42:38 – Ashes to Ashes. 67:33 – Farewell for this podcast! 67:52 — End theme, disclaimer, copyright, etc. Wikipedia: Flight of the Navigator. Toby Hadoke: Moths ate my Doctor Who Scarf. 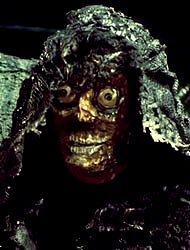 BBC: Doctor Who: The Deadly Assassin.